Set The Table With Us! The Dinner Table Documentary offers semester based internships to high school and college students. 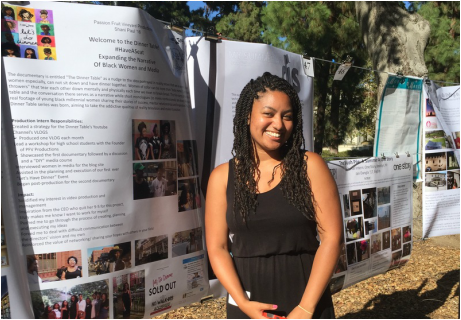 Shani Paul, Summer 2015 Production Intern presenting her work with The Dinner Table at a college fair. Essence Magazine Editor & Chief Vanessa DeLuca w. Krystal Bailey, Spring/Summer 2015 Social Media Intern, Actress Africa Miranda & DTD CEO, Asha Boston.